the bbc has a project called blast that aims to encourage the creativity of youngsters between the ages of 13-19. as a part of this mission they have a great interactive portal full of videos and information to foster that creativity, that includes DIY fashion videos, illustrating how to restyle a sweater/jumper into a hat, how to make a sweater out of several pairs of socks (!! 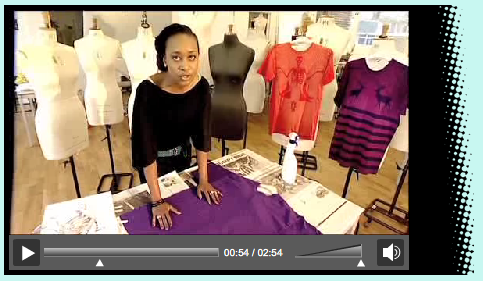 ), a fab tute that shows how to make a bleach stenciled tee, and some ideas on how to customize trainers/sneakers. for whatever reason, the videos are not embed-able, so you have to go over to the bbc blast site to get a gander at the aforementioned. useful ideas for creative-minded DIY'ers of *any* vintage, i'd argue...yeah! many more videos of a similarly fun and fashionable DIY-flavored ilk may be found on the blast DIY fashion downloads page.